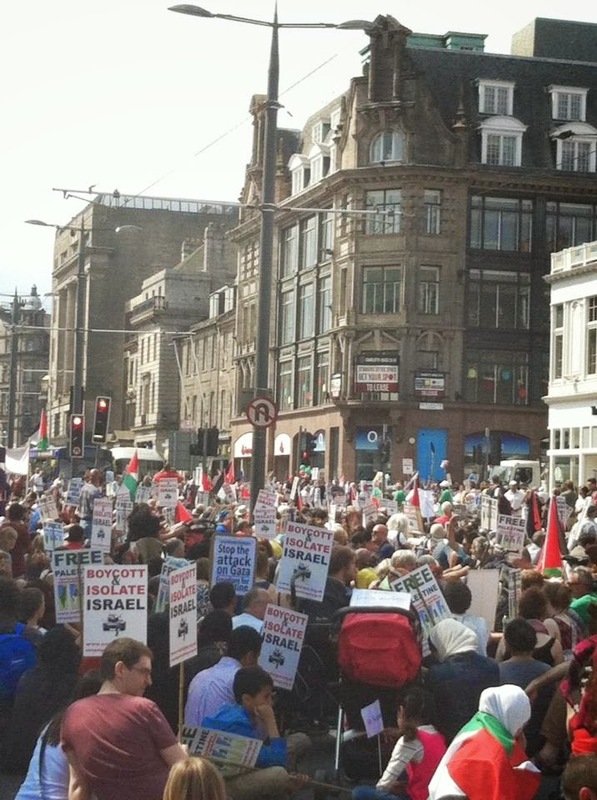 Thousands turned out on in Edinburgh on Saturday to demand an end to the killing in Gaza. 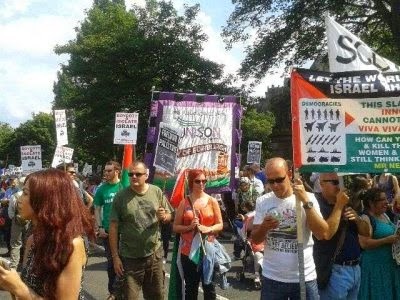 The Edinburgh UNISON banner was there as the rally at the Mound moved along Princes Street for a minute’s silence and ended at Bute House, the First Minister’s official residence. 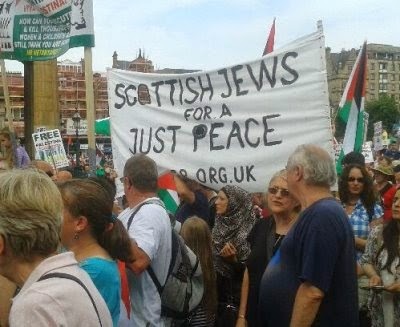 Hundreds also gathered in Aberdeen in the fourth consecutive week of demonstrations in the city. 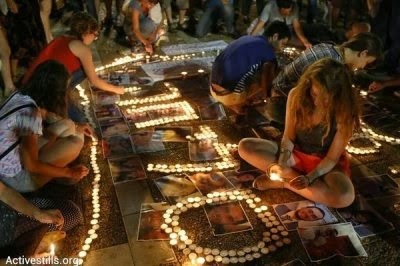 More than 60,000 also rallied in London. Malcolm Chisholm MSP and Aamer Anwar were among the speakers at the Edinburgh rally. At least there was BBC coverage of today’s Edinburgh event, although it greatly underestimated the numbers. Astonishingly, STV was tweeting that there was some kind of protest going on in Edinburgh but it didn’t seem to know what it was!